Having established our first orchards in 1907, our family has grown fruit in western Colorado since it was first cultivated in the region. 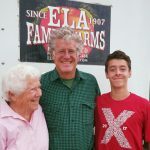 Today, we are a family farm growing over 55 varieties of organic tree fruits—cherries, peaches, pears, apples, plums, plus organic grapes and multiple varieties of organic heirloom tomatoes. Every last thing we sell or make—from fresh fruit to artisanal organic jams, jellies, fruit butters, sauces, dried fruits, and cider—we grow ourselves. Our business is built on flavor, environmental stewardship, quality, local food we can all believe in, and building relationships. 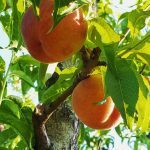 Your taste buds will tell you the difference that abundant Colorado sunshine, water melted from alpine snow pack, and cool mountain nights can make to fruit that is harvested at the peak of perfection (we actually let it ripen on the tree). We insist upon it being the best. You should, too. From apples that bite crisp and are full of flavor nuances to pears and peaches that’ll literally soak your chin with juice, our fresh fruit (in season) is available for direct shipment in gift packs. And, we don’t let nature’s bounty go to waste. Creating small batch processed goods folks can enjoy the taste of tree-ripened fruit year round. We ship our jams, fruit butters, and organic applesauce direct to your door in personalized gift packs. Still curious? 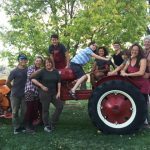 Go to our biographies page to read about personalities that run the farm or join us on our annual spring farm tour!